NEW: Fun Cups to Decorate Your Fence! 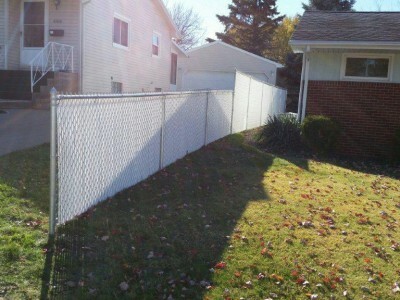 Erie Fence, Inc. offers the highest quality chain link fence in the Erie Area. 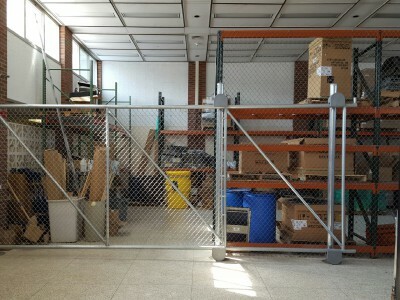 Our standard residential framework consists of Wheatland US steel tubing with a .065 thickness wall, whereas box stores will offer you Chinese made .047 steel. As a member American Fence Association, we can assure that the materials we quote is the exact quality and grade you will receive. Our fabric is purchased semi locally from Sharon, PA.
We offer aluminized, as well as traditional galvanized fabric. 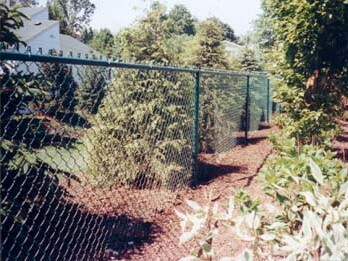 If you do not like the look of traditional chain link fence, we also offer vinyl coated chain link in most standard colors. Most commonly, the vinyl coating is extruded, covering a thinner metal fabric and may actually cost you less than a regular galvanized fabric. Other options include vinyl coated framework and colored privacy slats. Ask us about our new fun cups that can insert into chain link fabric. 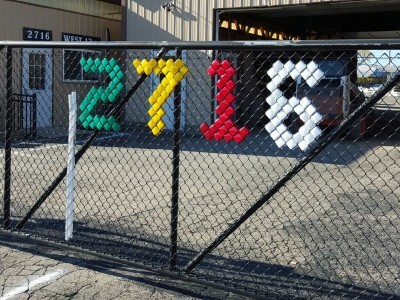 You can make designs, signs, or simply color up your chain link fence!